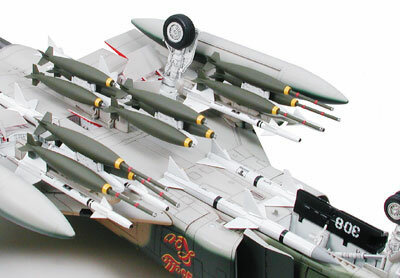 << Back TAMIYA "McDonnell Douglas F-4E Phantom II Early Production"
TAMIYA "McDonnell Douglas F-4E Phantom II Early Production"
The F-4E came into production as an improved version of the F-4C/D and was to be the most advanced model of the Phantom series. After elongating the fighter's nose and installing a more compact radar, the solid-state Westinghouse AN/APQ-120, the installation of a nose-mounted gun became possible and a 20mm M61A1 6 barrel Vulcan gun pod was employed. The Vulcan 20mm cannon, with its ammunition drum of approximately 640 rounds, was capable of firing 4000-6000 rounds a minute and proved reliable in air-to-ground and close quarters aerial combat. F-4E made its first flight in June 1967 and entered the rising conflict of the Vietnam War in November 1968 when the first F-4E's reached Korat in Thailand and joined up with the 469th Tactical Fighter Squadron. 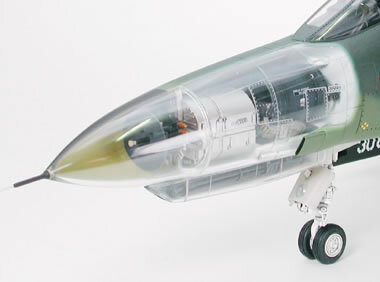 By the time of the cease-fire of 1973 the F-4E was credited with a total of 21 MiG kills, 5 brought down by gunfire alone. Assembly kit of the early production version of the F-4E Phantom II main fighter of the U.S. Airforce. Scale: 1/32, fuselage length: 600mm, wingspan: 368mm. The intrepid form of the F-4E Phantom with its characteristically elongated nose, has been accurately reproduced. Fuselage has been molded as one piece with intricate areas faithfully recreated. Main pieces can be fastened to fuselage with screws. 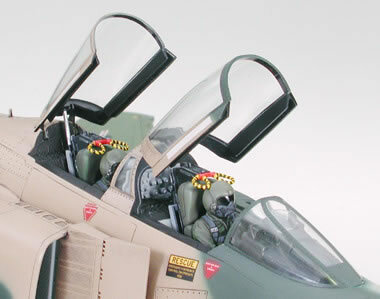 Plane's nose can be reproduced with clear parts to allow viewing of the details of the 20mm M61A1 6 barrel Vulcan gun pod and AN/APQ-120 radar after model assembly. Exquisite detail of cockpit and instrument panels portrayed in superb detail. Canopy can be assembled in the open or closed position. Landing gear reproduced with dye-cast parts and tires are recreated with real rubber. 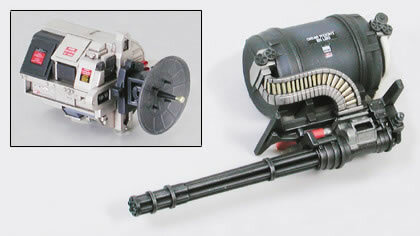 Parts for recreation of full armament, such as air-to-air missiles, are included in kit. Kit also features pilot and co-pilot figures as well as decals for replication of two different planes.